Wrapped in ice-cold sea and snow. This photograph was taken by my friend and colleague Thor Walum, retired English teacher and lover of Spain and photography, who lives in a beautiful, tiny island in the north of Norway, which I was lucky enough to visit some years ago. The light and colours I saw in Norway, were spectacular. I’ve never seen such fabulous colours anywhere else I’ve visited. 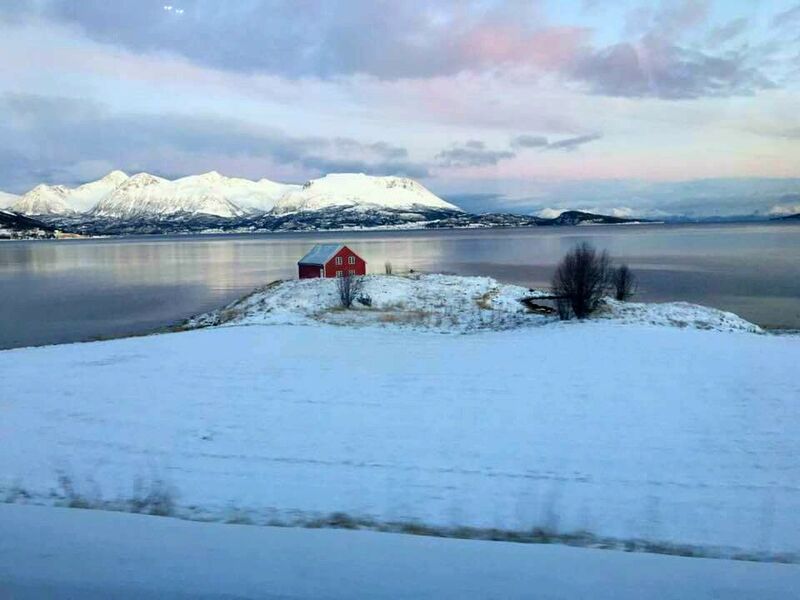 Thor took this photo at the end of November, during the dark months, when there are only a few hours of partial daylight, from the bus on his way into town on the island of Hinnøya. It used to be an old sea house, used by fishermen, but it has been refurbished recently, preserving its original shape of a hundred years ago. This is the same view, earlier in the year, with more daylight and less snow! I love that little house – it does look lonely, but you are right, it seems to offer some warmth for visitors! Your friend Thor has a great eye! A beautiful post. Pics and the content.!! Good luck with NaPoWriMo! I usually take part every year but I have a lot on my writing plate this year, so couldn’t do it this time. That is absolutely gorgeous (the haiku and the phots)! 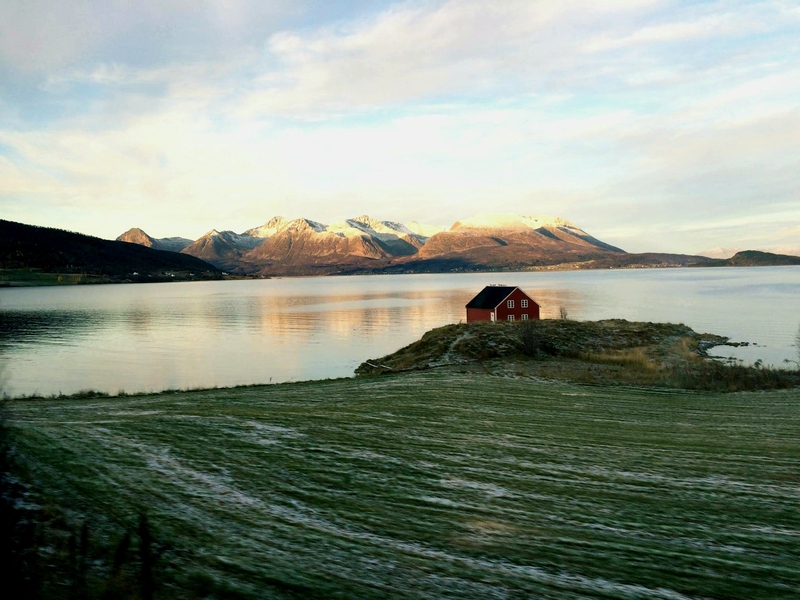 Those photos from Norway … sigh! My husband’s family is Norwegian. I’ll have to show those to him. Yes, it’s a stunning part of Norway. 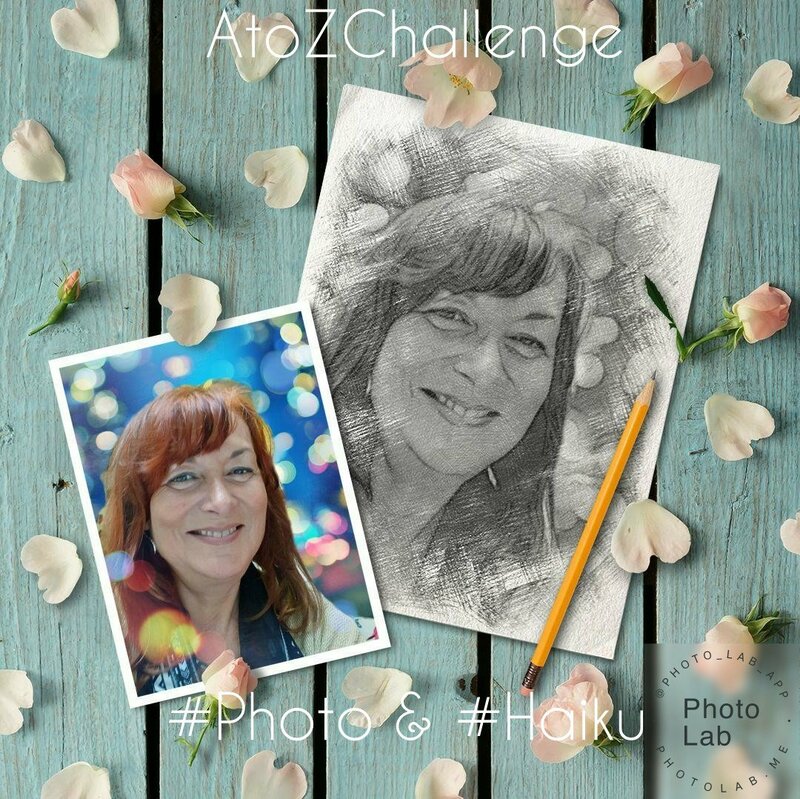 What a gorgeous photo and haiku! You nailed it again! Thank you, Noelle. I’m having fun, although the syllables are a constant source of frustration, as you’ll see tomorrow!